Dragon culture is profound and profound. It is an important part of Chinese culture, and it can also be said to be one of the essences and spiritual representatives of Chinese culture. There are no dragons in the real world. It is only a product of the 7,000 years of Hongshan culture and the 50 million-year Hemudu period of the Chinese family as a symbol of bravery, wisdom, kindness, harmony, and integrity. Due to the differences in regional culture and living environment, there are regional differences in the shape of the dragon, but the dragon's decoration is made up of the cultural meanings of the nine animals. However, the spirit of the dragon was gradually evolved into a symbol of imperial power by the feudal society. According to this, the evolution of the emperor to the incarnation of the dragon, and the incarnation of the dragon culture and its representatives are beyond reproach. The misinterpretation of the dragon culture is undoubtedly the eradication of human nature. The dragon is the representative of China, not the monopoly power of a certain dynasty. The meaning of this upside down should be reversed. Long represents only its quality does not represent the imperial power, imperial power can only obey the dragon. Original intention, otherwise it is all about dragons. As a descendant of the dragon, he inherited the spirit of the dragon and worked hard to treat people and things around him peacefully. In classical furniture decoration, due to historical reasons, ordinary people dare not use appliances with dragon ornamentation, or even think that they cannot hold back their positions. This strange phenomenon with feudal thinking should end. However, the dragon's decoration cannot be used indiscriminately. Its shape is varied and the morals are different. If it is used wrong, it will be laughable. Therefore, designers should have a cultural foundation and related knowledge in furniture design. For example, civil servants adopting a dragon-like ornament can spur oneself to serve the government and benefit the people. When choosing ornamentation, it is necessary to reflect the plot of worrying the country and the public so that this pattern can be matched with the userâ€™s pursuit of identity and responsibility. If a country works The decoration used by the staff is mainly for seeking wealth, which is inconsistent with their responsibilities. In 2008, I received a civil servant in the studio. He initially wanted to choose dragon ornament furniture that symbolizes Fushou Shouxi. Later, after listening to my suggestions, he chose the furniture that symbolizes the incorruptible arrangement of bamboo and chrysanthemum ornaments. For ordinary people, any furniture with dragon ornamentation can be used. In particular, the ornamentation of the water dragon symbolizes the common peopleâ€™s yearning for a happy life, financial resources, and good weather. How to appreciate sculpture decoration? Because of the different postures of carved ornaments, their interpretations are also different. For example, the same kind of meaning in the photos is very different due to different carving techniques and rhyme. 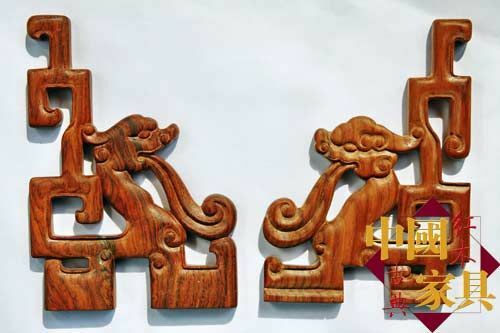 Therefore, our carvers need not only good carving techniques but also Chinese culture. Real understanding, understanding of objective things is even more difficult and more important than technology. The carvers whose cultural foundation is their work is the real culture and art. Figure 1 in the right hand carved pieces, its leader and dragon body from the first division, dragon nose and flat vision is higher than the forehead, like a pig's mouth; eyes behind the two beads do not know what, there is a sense of superfluous, Shubin seize the main longan crowded To the position, there is no "finishing touch"; the dragon's mouth is not strong enough to spray water, and the dragon's jaw is too short, causing a sense of a senselessness. The seawater sprayed is like a streamer, so that the viewer does not feel the dragon spray; The sea water is flat and weak, and the explosion has a sense of "powerlessness." In Figure 1, the left hand carved dragon has dark eyes, the water spray state is vigorous and powerful, and Dantian's air swells; the dragon's neck is also strong and powerful, and the spitting state is majestic, and the seawater sprayed is in a state of force. The sea spray was splashing again and again. Strong! Then, following the trend of braving the sea with the strong support of the sea, the position of the deep sea dragon will symbolize the vitality of the country and the people of the country and the people. The dragon's nose will be slightly upturned, and the charity will not be lost. The contrast between the dragon sculptures in the figure, the right and the left carved figures proves the pros and cons of a sculptor's skill. It also reflects that an expert in carving art can only master the mind and work hard with the sword. The essence of classical furniture. 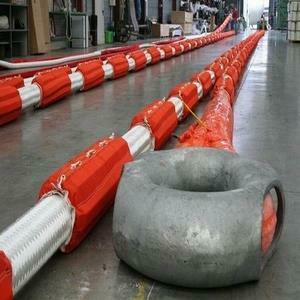 Product Category: (SPM)Single Point Mooring Rope is made of Nylon Double Braided Rope, which can also be made of nylon with inner core and polyester coated (polyester/nylon Double Braided Rope), is an innovative design and has higher strength than traditional rope structure. 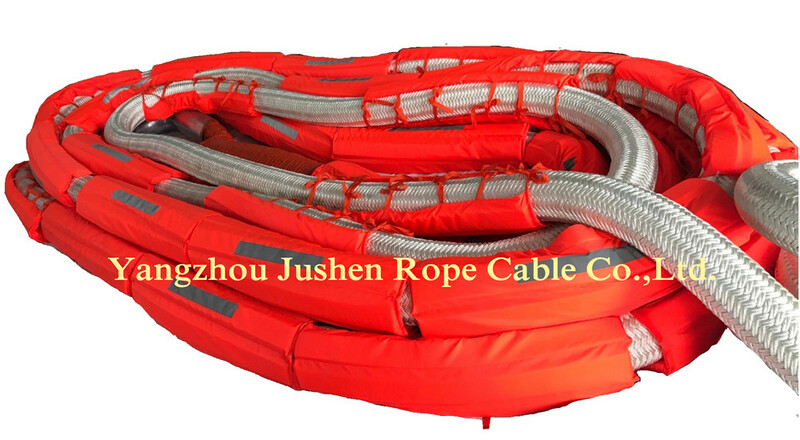 Better wear resistance and longer service life, our company is a relatively large rope manufacturer and wholesaler in China, wholesale high-quality nylon double Braided Rope , we have perfect after-sales service and technical support. Look forward to your cooperation!